1Step DVD Copy is the fastest and simpliest way to backup ANY DVD retaining the hisghest quality. Convert and shrink your DVDs right now! 1Step DVD Copy will make rip even the protected discs. 1Step DVDCopy offers many settings and customizations enabling you to complete all your DVD copying / ripping tasks just the right way. 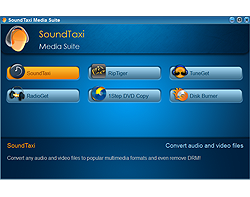 You can chose the video track, audio track, subtitles track, output format and much more.